Many thanks to our friends at Bar-Be School for providing this list of recipe ideas. 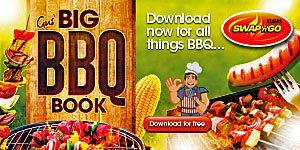 Now you can impress your friends this summer with professionally tested BBQ recipes. Please remember good BBQ Food Safety practices for a safe and healthy BBQ season.